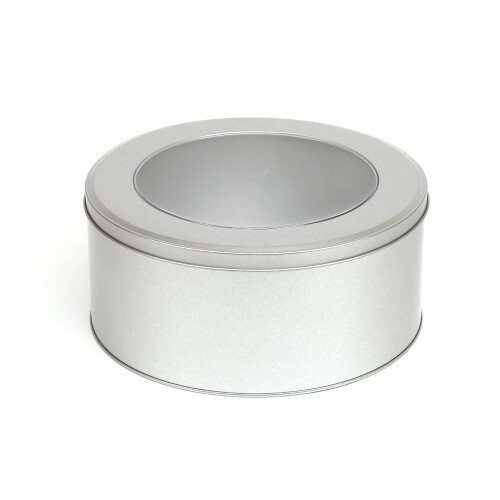 Ideal for the safe storage of cupcakes, biscuits, cakes and other baked treats, this round cake tin teams pretty looks with practicality, featuring a fetching white exterior that will always compliment any colour scheme in your home. It keeps your baked goods super safe and neatly tucked away in your kitchen, helping your cupcakes to last longer…if you can resist them that is! This large 3750ml cake tin has a window slip lid so contents can easily be viewed without packaging being opened. This round cake tin is the perfect place to store your cupcakes. Combining pretty looks and practicality, this cake tin features an elegant, white design to fit perfectly into any colour scheme within your kitchen or pantry. Product size: 223mm x 102mm height (please note measurements are external from curl to curl), meaning it gives you plenty of room to store your cupcakes or baked treats, ensuring their longevity. Durable and well as attractive, it will protect your baked delights from those every day accidents or jolts…not to say that you’re clumsy of course!